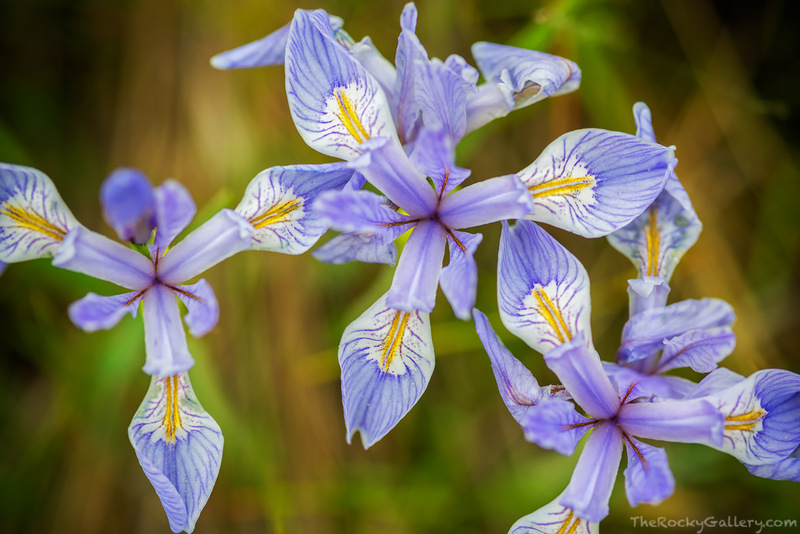 A set of Wild Iris bloom in the meadow of Lower Beaver Meadows on a warm June day in Rocky Mountain National Park. Rocky Mountain National Park plays host to a variety of wildflowers which put on a colorful display. Depending on ones elevation as well as the time of year visitors to Rocky will be able to observe the delicate beauty of Colorado's famous wildflower displays. Photo © copyright by Thomas Mangan.